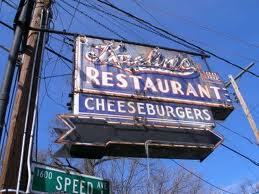 Kaelin’s in Louisville, which was three blocks from my house, claimed to be the home of the first cheeseburger. When my wife and I moved to Louisville, we decided to give the eatery, now closed, a try so I could experience this original creation. It would be like eating an apple from Newton’s tree, right? I was underwhelmed. Kaelin’s cheeseburger was passable, but nothing special. I’d had a lot better burgers at much newer places. Once again, it proved that the first isn’t always the best. I thought about that when I recently finished Bram Stoker’s Dracula. The original. The one that started it all. The one that brought us characters like Renfield and Van Helsing. The first 50 or so pages had some chill and suspense to them, but the story sputtered and coughed after that. Dracula seemed to play only a bit part, which might be explained by Stoker’s original plan to title the book The Undead. rather than Dracula. I can see where Victorian readers would have had the bejesus scared out of them at the time, but it takes a lot more to creep out readers today. I got tired of the swooning, fainting, angst and “we’ll be best friends forever even though we’ve just met” scenes. And Van Helsing? That dude needed to shut up once in awhile. By the end, I was hoping Dracula would take care of that issue for me. Vampire lit has been improved on a lot since Stoker’s work, but I still appreciate him. Everyone knows about Dracula, even if they haven’t read his original story.